CONTRACTORS...Take advantage of current depreciation law! * $6,429 MSRP for Model 124V-41. Collection system not included. Pricing subject to change without notice. Harvest Sale offers valid on the purchase of new Grasshopper tractor and deck from 9/1/2018 to 12/31/2018. 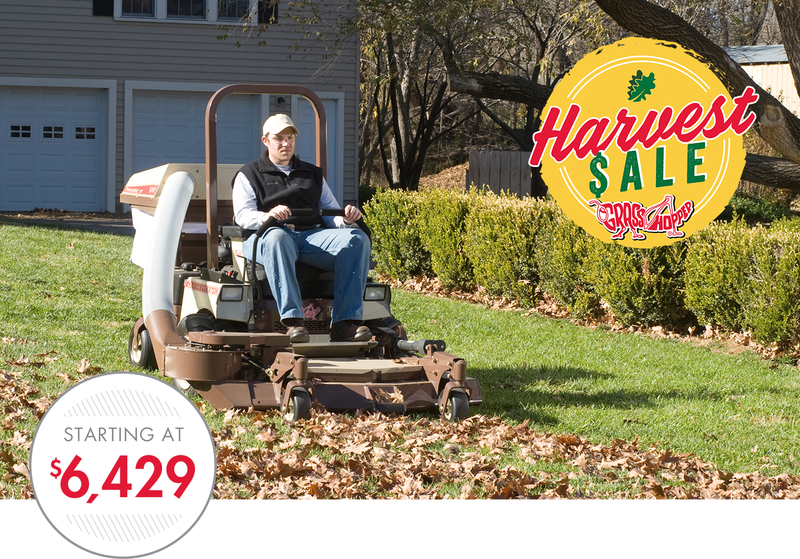 Harvest Sale offers may not be combined or used with any other Grasshopper promotion or special financing offers. Certain restrictions may apply. Prior purchases excluded. 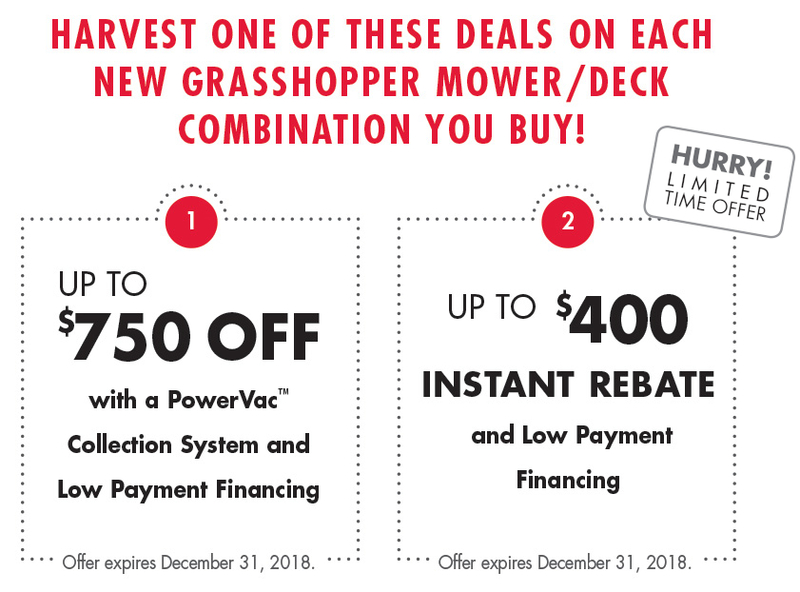 For other financing offers, visit GrasshopperMower.com/Financing. Financing offers subject to credit approval. Some restrictions apply. Contact Kelton's Inc for full program/offer details. ** Neither The Grasshopper Company nor Kelton's Inc provide tax, legal or accounting advice. This material is for information purposes only. Consult a licensed accountant and/or tax professional for expert advice on tax deductions and expense eligibility for your specific situation.